Want the physique of a Greek God or Goddess? And the strength and agility of an Olympic Gymnast? With the unique and sometimes unheard of bodyweight training adaptions within Core Force Energy, you’ll find yourself stripping fat in days instead of weeks. In fact, most of my CoreForce Energy clients over age 40 agree, one can drop 3-4% body fat and explode energy levels while using Core Force Energy for only 2 weeks. There's no question that some of the most powerful and best sculpted bodies in the world are owned by Olympic gymnasts and there's good reasons for that. 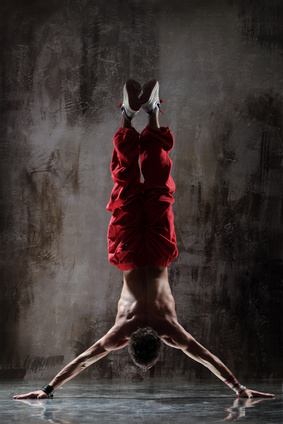 Not only are they chiseled but their muscles are incredibly powerful and strong at any angle as well as flexible. Michelangelo would have been ecstatic to have any one of them stand in as a model for one of his masterpiece sculptures. They can do things that seem completely superhuman to most people and now, with the cutting-edge concepts of CoreForce Energy, you can too in record time. Most body builders and gym rats can’t even compete with the supple strength, flexibility, and endurance gymnasts exude with an almost effortless ease. Since they rely mostly on their bodyweight for attaining their super physiques instead of weights, they alter their exercises to put themselves at a complete leverage disadvantage. Click to Watch This Incredible Bodyweight Strength. Most of the time its a prerequisite to the particular gymnastic events they’re training for. But the inventive exercises they’ve created using just their own body weight is exactly what makes them so strong, chiseled, and supple. If you truly want to be powerful and chiseled at the same time, the way gymnast train is your perfect model to start from. From there, CoreForce Energy training will take you to a whole new level. Some of the ways they put themselves at a leverage disadvantage to build such powerful physiques is by elevating their feet to put extraordinary amount of pressure and weight on their upper bodies, hanging from straps with straight arms as in an “iron cross”, doing levers, and planks, using one limb as in one arm pushups and one-legged squats (aka pistols), and incorporating isometrics. The list goes on and on. Most bodyweight strength training programs would like you to think they’re showing you how to gain the same kind of power that world class gymnasts possess. Unfortunately, in reality, many of these bodyweight exercises promote the same angular short-ranged movement patterns that weight lifters and other athletes practice. The exercises are so basic that there is no way a lay person would ever come close to exhibiting the raw power that gymnasts have. Cutting-edge techniques and exercises that have you moving organically powerful and fluid with unreal strength at any angle is what distinguishes CoreForce Energy from any other strength training system. What takes gymnasts years to understand and implement, you are learning right away in a few days with the powerful mind body techniques of CoreForce Energy. It is a completely new paradigm shift in the strength training world. Instead of learning the same tired angular and constipated body weight training movements and breathing patterns that every other strength training system promotes ad nauseum, CoreForce Energy shows you step-by-step how to shave years off the intense learning curve that the highest trained gymnasts achieve. It does this by showing you exactly how to master your mind and body union for maximum results in minimum time at the same time - not separately like most any other system. In addition to the completely new organic movement patterns that CoreForce Energy shows you how to do, it gives you innovative isometric exercises and follow-along workouts. There is the exclusive CFE 3-Dimensional Strength Optimizer Training within the CoreForce Energy training area unlike any kind of strength training that you’ve ever seen before. It is a combination of bodyweight resistance training, isometrics, and fluid movement for developing unparalleled strength at any angle. In fact, this exclusive training really should be a separate course within itself because the valuable information within it is so unique powerful and virtually unheard of in strength training circles. At first glance, you may think that you might know what it is and make a guess. But, I assure you haven't see it before and what's really amazing is the power, Matrix-like balance, endurance, and strength at any angle that you get all at the same time - It is truly revolutionary - a breakthrough in human movement and ability. Most of the time, you can only train one of these attributes one at a time. However, with specific CoreForce Energy exercises, you are using your own bodyweight and much much more without the restrictions that weight plate, dumb bells, cables, kettle bells, or any other traditional strength training equipment puts you under. The 3-Dimensional Strength Optimizer Training is a breakthrough bodyweight strength training system that shows you how to have strength at any angle while maintaining complete flexibility and greater range of movement while also giving you incredible Matrix-like balance. Think of how invaluable these attributes would be to any athletic event. These would give you the winning edge over the majority of competitors who train with the same angular force as every body else. Using breath patterns of one in and one out per repetition that everyone else trains with. Most systems can’t give you Matrix-like balance AND strength at the same time. In sports you’re rarely in the optimal position where you can exhibit your maximum strength. Yet, CoreForce Energy does, you’ll learn how to have even strength throughout every millisecond of movement patterns and be equally powerful on your in as well as your out breath. That is basically unheard of in athletic training camps. In CoreForce Energy, it’s only the beginning. This is one of the core reasons that enable you to not only develop such raw power fast with CoreForce Energy but gives you incredible endurance like nothing else. 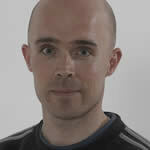 CoreForce Energy completely shatters the myth that you can’t get strong with bodyweight exercises. Without a doubt, you can get insanely strong with the unique CoreForce Energy body weight exercises and workouts. doing the most difficult physical challenges a piece of cake." The unique breathing patterns of the CoreForce Energy training will give you unparalleled endurance as well as strength. Instead of just being able to do one rep per breath like most every person trains on the planet, you'll be able to do more reps on one breath with more power than you ever thought imaginable. Having an abundance of energy in reserve is what gives you the winning edge in sports, plus energy to burn for both your work and play. The CoreForce Energy Breathing Protocol is what gives you this kind of winning edge quickly. Combined with the workout sets and breath work that is completely unique to CoreForce Energy, you will burn fat in record time while sculpting and chiseling your body into rock hard shape as it increases your energy and stamina. You'll be doing all the things that you’ve always dreamed of doing but never thought you’d ever have and strength and energy to achieve unless you found some sort of “limitless” wonder pill that could turn on super human powers. It does this by infusing innovative mental focus techniques with many completely original exercises to transform your physique into super shape quickly. You will be able to sculpt your body and muscles to perfection while gaining unbelievable strength beyond compare. Some would have you believe that the only way to do this is with weight training. Rubbish. A load of crap! There’s no optimal tool or holy grail of building a better body as your muscles don’t know the difference whether you’re using weights, body weight, cables, or any other training tool. Go back to the sleek images of Olympians and you’ll completely destroy that myth when you understand how they developed those amazing sculpted to perfection physiques. They did it with bodyweight training and always training with functional strength and full-body exercises. 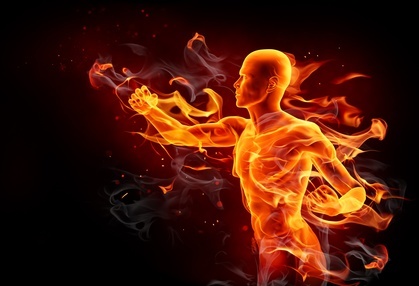 This is exactly what CoreForce Energy shows you how to do but with training that will unlock super Chi - the mythical energy that most have no idea how to achieve. 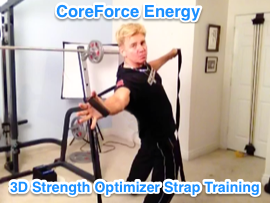 If you want truly functional strength that will break any strength barrier that held you back up until now, the CoreForce Energy bodyweight training concepts and workouts will give you the super supple strength of an Olympian and be your secret weapon for achieving record breaking weight loss, Matrix-like balance, and strength at any angle. “I have been the strength coach for world class athletes from various sports including tennis, ju jitsu, waterskiing and figure skating and I can say with complete certainty that applying the principles of CoreForce Energy will take your training for strength, power, speed and sport specific movement into an entirely new domain. I once was presented the simple task of creating 4 triangles with 6 matches. The matches was placed on a flat table. The task is impossible until you realize that you have to use 3 dimensions and and not only two. CoreForce Energy adds a whole new dimension to your thinking – it is truly and landmark product. I have had the pleasure to speak to Garin on the phone, a service that comes with the purchase of CoreForce Energy. This rapidly accelerated my understanding of CoreForce Energy. 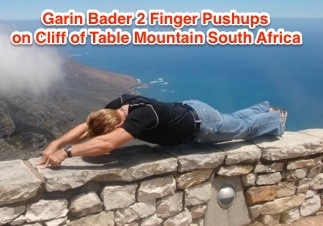 Garin is passionate about sharing the product and truly wants all of us customers to understand the principles. ← Want Bruce Lee Like Strength?